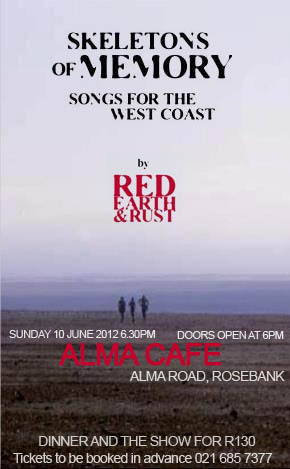 Next RED EARTH & RUST GIG: Sunday 10 June - ALMA CAFE, Rosebank. Really special blog post, Thanks for your time designed for writing It .Wow so amazing, I am flattered with all the wonderful information I have got it This content is written very well. Your use of formatting when making your points makes your observations very clear and easy to understand. Thank you.